Dry lime juice from Thailand is a powder for making lime juice, from which it is very easy to make lime juice in just a moment. In package 400 gr. dry lime juice powder. dry lime juice 400 gr. + 1200 ml water = 1200 ml lime juice. 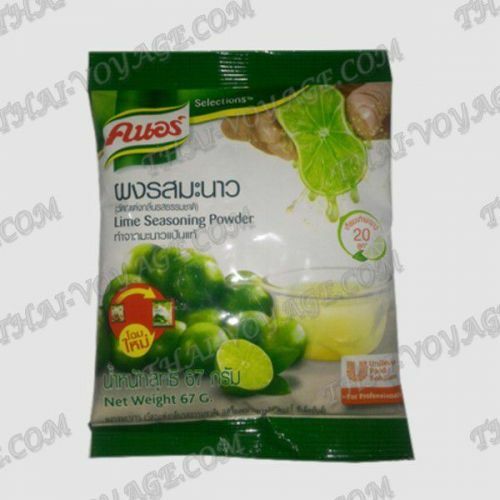 dry lime powder 100 gr. + 300 ml of water. = 300 ml lime juice. Lime juice is used both for the preparation of drinks and cocktails (Mojito – the most famous alcoholic cocktail with lime juice), and for a variety of Thai dishes, as well as for marinating meat or salad dressings.